"Eoin O'Callaghan writes and talks about soccer with intelligence and excellence. His reports, insights and opinions are a must for diehards around the world. One of the great soccer broadcasters today." "Eoin O'Callaghan is someone who combines a polished TV presence, a reporter's curiosity and a healthy grasp of the history and scope of the world's greatest sport. When he talks, I listen. When he writes, I read." "Eoin has that rare combination – he's both very professional and very pleasant to deal with. This young man will go far." "Eoin O'Callaghan is a gifted broadcaster, an astute commentator and vastly knowledgeable about international soccer. Multi-talented and hardworking, he has a zeal for excellence and is a compelling presence in all of his work in every medium." Eoin has worked for some of the biggest and best-known media outlets in the world, including FOX, BBC, RTE, CBC and The Guardian. As a broadcaster and journalist, he has told absorbing and engaging stories across television, radio, print and digital. In 2016, he created, starred and executive produced the critically-acclaimed film Celtic Soul along with his friend Jay Baruchel. 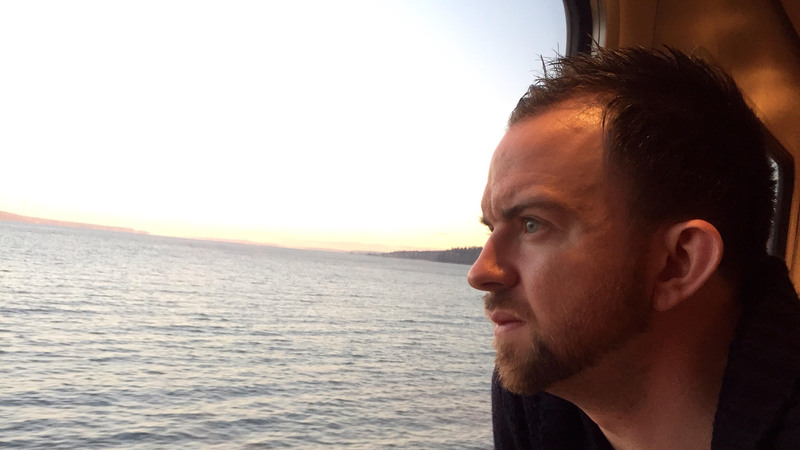 Eoin has over 10 years experience working at the highest level of sports broadcasting in Europe and North America. 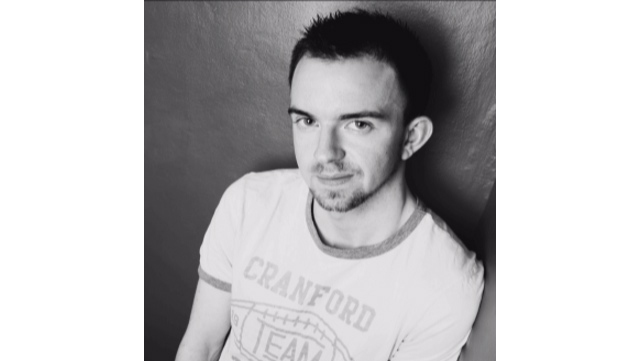 Starting out as a TV sports researcher with Irish national network RTÉ, he quickly graduated to reporting and producing for various in-house television and radio shows. Eoin moved to North America in late 2009 and provided extensive coverage of the 2010 Winter Olympic Games for both RTE and the BBC. In June 2010, he landed a coveted hosting role with 'Fox Soccer Report', Fox Soccer's flagship TV show, broadcasting nightly across the USA, Canada and the Caribbean to over 40 million people. He has written about sport for a range of outlets including The Guardian, The Independent and The Irish Examiner while he served as a soccer columnist for Yahoo between 2014 and 2016. He also contributes frequent essays to football magazine Eight By Eight while he's a long-time feature writer for highly-regarded Irish sports website The42. 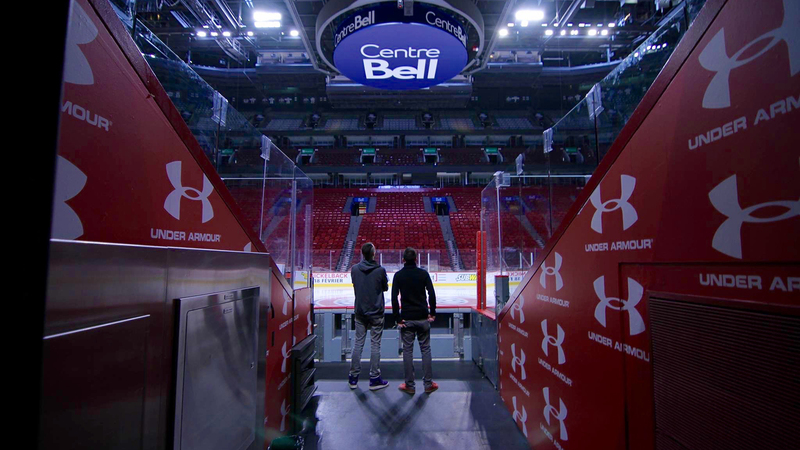 Now based in Toronto, he released his first feature-length sports documentary, 'Celtic Soul' - which he created, executive-produced and starred in alongside his friend Jay Baruchel - to critical acclaim in late-2016. His second is currently in development. 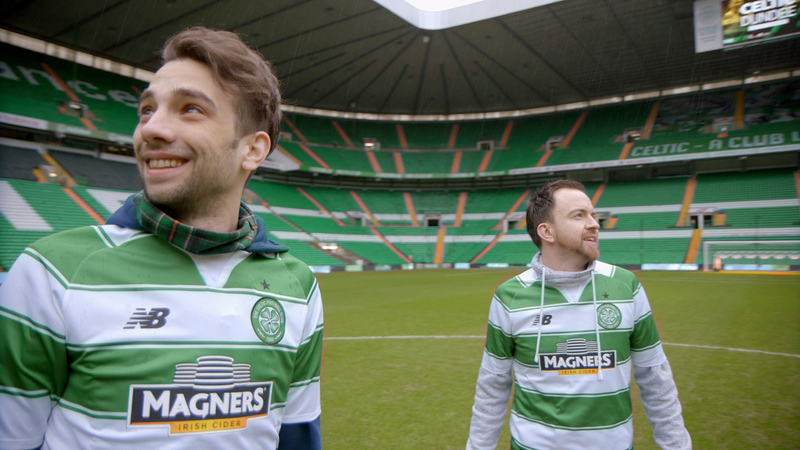 After returning to Ireland from North America, Eoin sat down at his kitchen table in Dublin and put together a pitch for a historical sports documentary that concentrated on Canada's connection to iconic Scottish football team Glasgow Celtic. At the same time, via social media, he developed an unlikely friendship with Hollywood actor Jay Baruchel (Million Dollar Baby, Knocked Up, Tropic Thunder, She's Out Of My League, This Is The End). 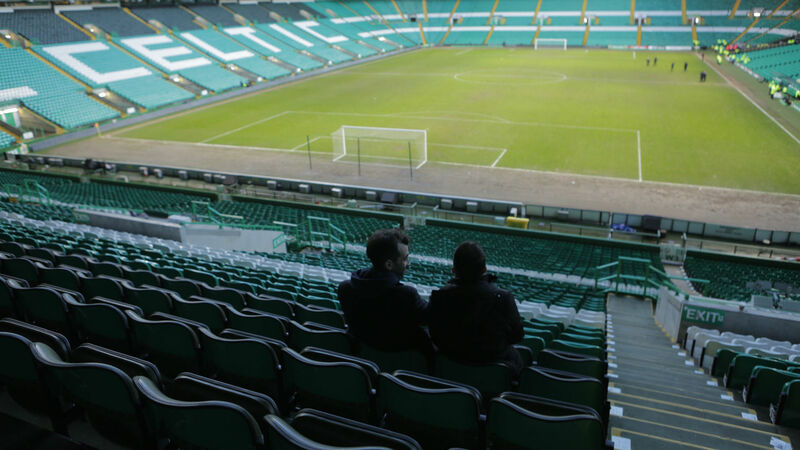 Eoin was aware of Jay's support for Celtic but when he learned about his Irish ancestry, it provided the possible documentary pitch with another angle given that the club was set up as a charitable deed to help Irish immigrants in the city in the late 19th century. In late-2013, a Toronto production company, Markham Street Films, came on board and everything was ramped up. 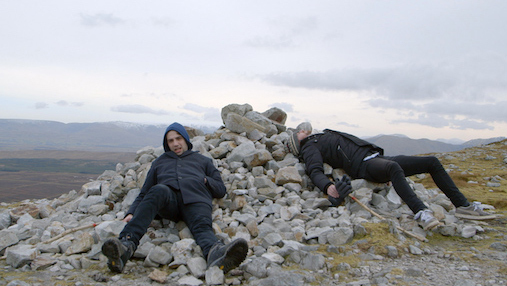 By the following year, the project had been developed into a road-trip film that takes place across two continents, three countries and centres around two friends and their shared love of a football team. Filming began in Montreal in February 2015 and was completed in Glasgow one year later. 'Celtic Soul' had its theatrical release in Toronto in November 2016 and played for a limited time at the Ted Rogers Hot Docs cinema. It was subsequently accepted to a litany of festivals and played to thousands of people in cities across North America, Europe and Asia, including New York, Mexico City, Glasgow, Barcelona, Bilbao, Berlin and Yokohama. In the summer of 2017, it enjoyed a theatrical run and screened in various cinemas in Ireland and the UK. 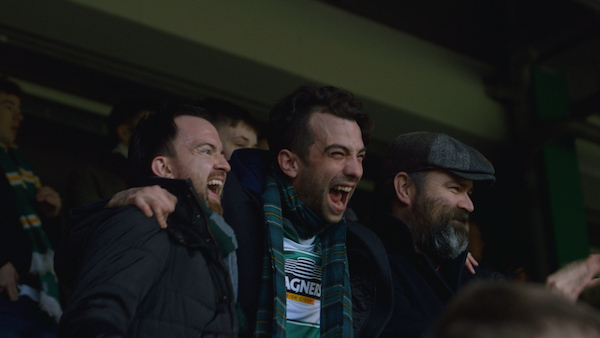 Eoin was also involved in distributing the film across the United States and Celtic Soul is now available in the US via a host of platforms, including iTunes, Amazon and GooglePlay. A Brief History Of Adidas. Gavin Peacock: Leap of Faith. The summer of 1995 arrived with much promise for Jack Charlton's Republic of Ireland side. They were well-placed to qualify for the following year's European Championship. But a humiliating scoreless draw with minnows Liechtenstein sounded the alarm bell. However, it was merely the calm before the storm as Ronnie Whelan and Ray Houghton remember. Broadcast originally on RTE 2FM's Game On. 26/3/2013. John Duddy, former world middleweight title contender, stepped away from boxing in 2011 at the age of 31. Since then, he's pursued an acting career. 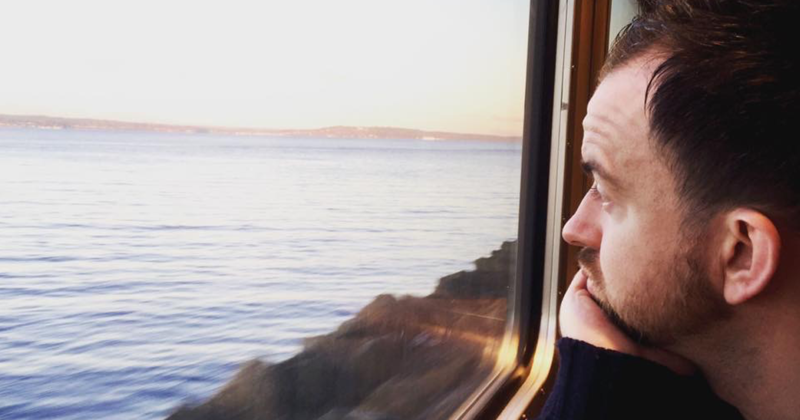 During the Irish tour of his latest play, For Love, I spoke with him about loneliness, regrets and 'walking that tightrope again'. Originally broadcast on RTE 2FM's Game On. 1/5/2013. Ahead of Iceland’s Euro 2016 quarter-final clash against France, Eoin chatted to RTE Radio 1 about the remarkable and unexpected rise of the team. Eoin drops into the RTE Radio 1 studios to discuss Ryan Giggs’ decision to leave Manchester United after 29 years. The last time Ireland were in Stockholm for a World Cup qualifier was over sixty years ago. The team that took to the field that day featured iconic names like Jackie Carey and Con Martin. But, there's just one survivor. Ahead of the Republic of Ireland's return to the Swedish capital in March 2013, I delved deeper into a period of Irish football that nearly resulted in the country's very first World Cup appearance. Originally broadcast on RTE 2FM's Game On, 21/3/2013. A firm handshake to Stephen Finn, Mark O'Sullivan, Philip O'Connor and Gary Spain. Special thanks to Stefan Lyssarides at Sveriges Radio. 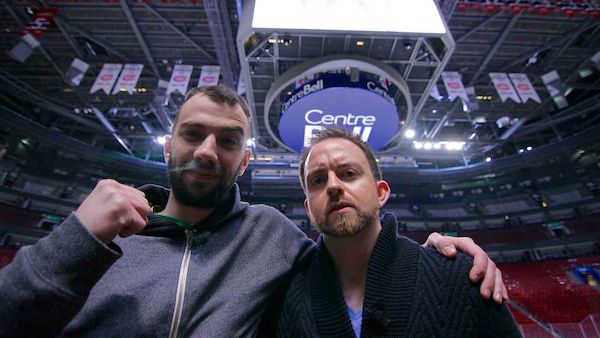 Eoin appeared on CBC's iconic 'Q' to talk about Celtic Soul alongside his co-star Jay Baruchel..
Eoin and Jay spoke to The Canadian Press about Celtic Soul, sports fandom and what audiences can expect from the film. The world's best soccer show, straight from... Winnipeg? You can email Eoin or reach him via the social channels below.